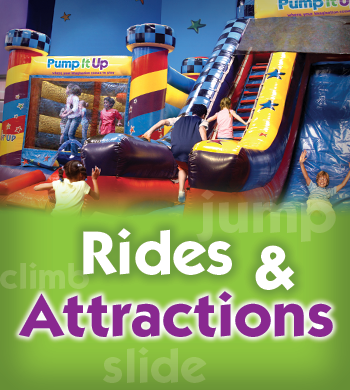 Beaverton Jr. Indoor Bounce House Attractions and Pictures | Pump It Up Jr.
Slide down our largest slide at Pump It Up Junior! We make sure it's slippery enough every day! 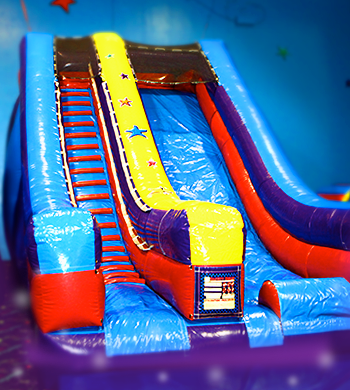 Come race through our Junior Obstacle Course! 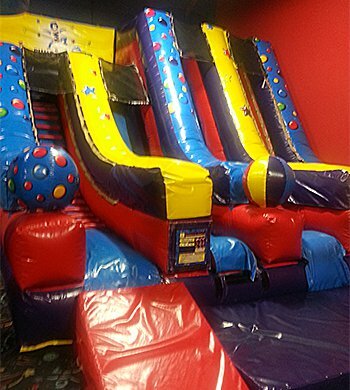 Kids will have a blast racing through with a slide finish! Chose steep or not so steep! Your child can find the challenge they are looking for in our fun double lane slide! 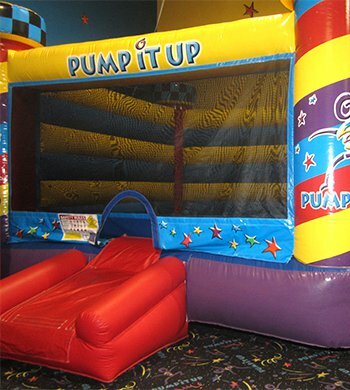 At Pump It Up Junior our play areas are filled with gigantic inflatables specifically designed for toddlers and little ones. We also have a big steep slide for the thrill seeking kids! 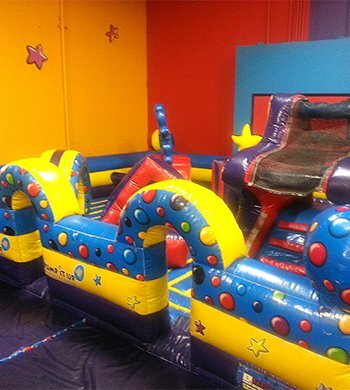 Come to our open jump times or book a private birthday party! 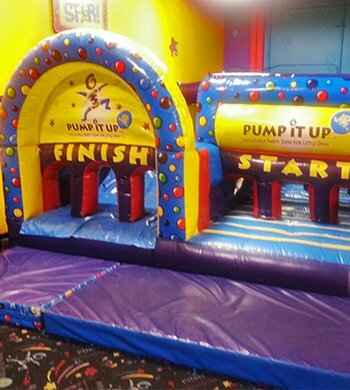 At Pump It Up Junior the little ones can enjoy this inflatable playground! Climb up and slide down our smallest slide! Go through an inflatable tube tunnel and climp over our PIU letters! After the private arena playtime you will enjoy your own private party room. 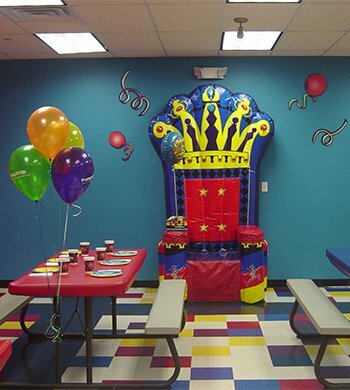 While you are playing our staff will set it up just for you and your birthday party! 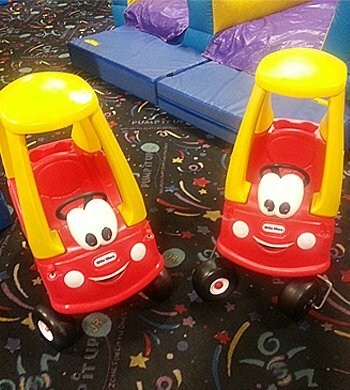 Cars at Pump It Up Junior are a popular ride attraction for the little ones! 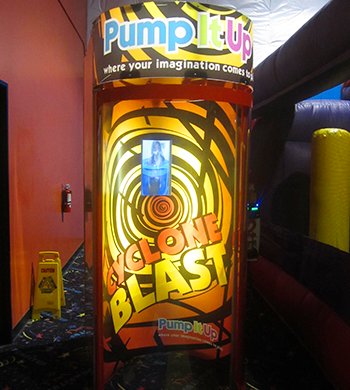 Imagine you are are the driver at Pump It Up Junior!